Today we have been introduced to the new theme for this years anti bullying campaign 'All Different, All Equal!' 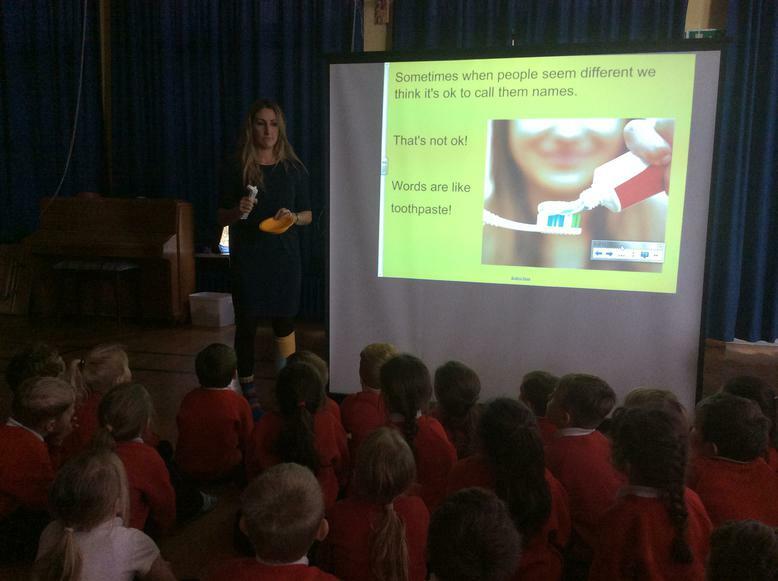 Mrs Keenan lead an assembly where we talked about what makes us unique individuals. We noticed that everyone had different answers. We also talked about the importance of choosing words carefully. 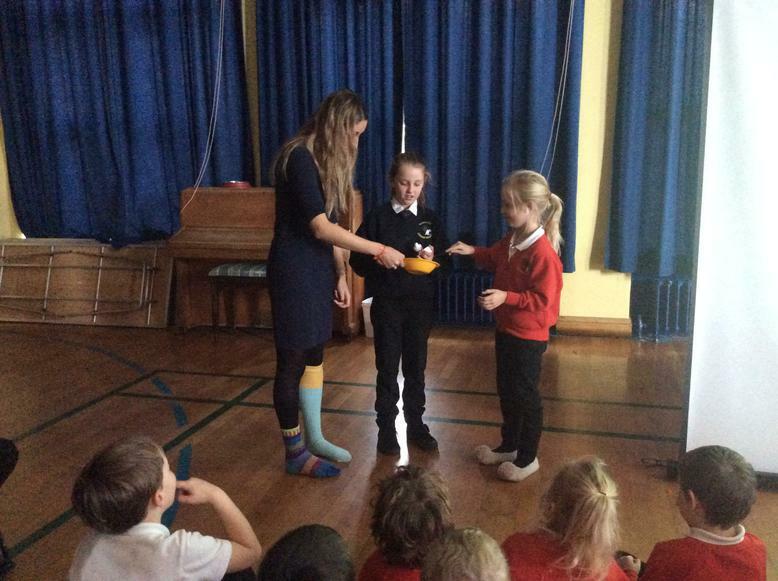 Mrs Keenan cleverly demonstrated with toothpaste how words stick. We worked out that once we say something it is very hard to take those words back, just like putting toothpaste back in the tube.